TORONTO and OTTAWA, Nov. 29, 2018 – Internet of Things Inc. (TSX- V: ITT) (OTC: INOTF) (FRANKFURT: 71T) (“IoT Inc.” or the “Company”) a strategic investor and operator of emerging technology companies with innovative IoT, AI and Blockchain solutions, is pleased to announce that its wholly-owned subsidiary, Weather Telematics Inc. (“WTX Inc.” or “Weather Telematics”) will be showcasing its industry-leading Road Weather Conditions and Hazards Service at the grand opening of the National Research Council Canada (“NRC”) London Manufacturing and Automotive Lab on Friday, November 30th in London, Ontario. The event will consist of a facility tour, live demonstrations, and a networking opportunity with other leading Canadian automotive suppliers. Weather Telematics’ Michael Keefe, Chief Strategy Officer, will be presenting to government representatives, the media and peers the innovative road safety data and predictive weather analytics technology that Weather Telematics has created. Attendees will also have the opportunity to view and use the Weather Telematics’ solution in two Lexus demonstration vehicles through the collaboration Weather Telematics has with the Automotive Parts Manufacturers Association (“APMA”). 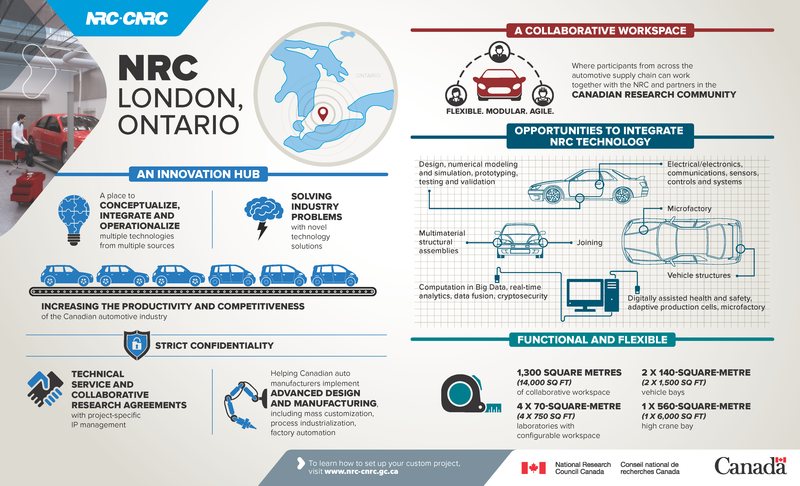 The focus of this new NRC open space is to help Canadian automotive manufacturers adopt more advanced manufacturing approaches, including mass customization, process industrialization, and data-driven factory automation, as well as manufacturing with new materials and other new vehicle technologies. New capabilities will be developed to enable the digital factories (Industry 4.0) that will produce the transportation technologies of tomorrow, such as Connected/Autonomous Vehicles (CAV).